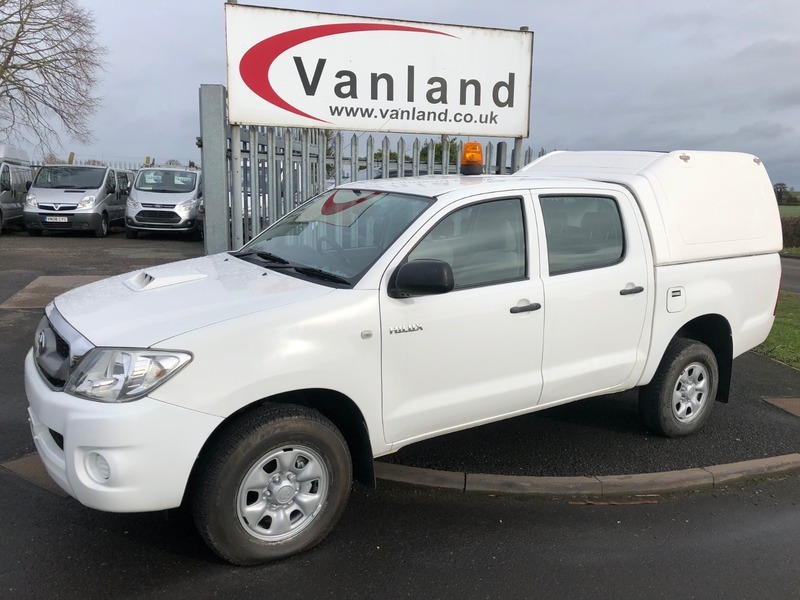 Vanland offers a Toyota Hilux 2.5 D-4D HL2 Crewcab Pickup 4WD for sale. This vehicle is very clean having covered 53,000 miles. The exterior bodywork is excellent, and the interior is unmarked. New M.O.T., Safety Inspection, Door Lock Check and Levels Check. Our Budget Price Guarantee is for 30 days and covers the basic engine and gearbox internals only. Our Premier Price Guarantee is for 3 months or 12,000 miles and covers everything, with the following exceptions, Tyres, Paintwork, Glass Items, Upholstery and wear and tear items. Our vehicles are advertised at our Budget Price, please call for details of our Premier Price. We are happy to take most types of part exchange, including cars, vans and motorcycles. Please contact us to value any exchange you may have. As long established credit brokers, we can arrange various types of vehicle Finance at competitive rates, subject to status. Please contact for our best advice on how to finance your next van purchase. We offer delivery throughout the UK Mainland. Please contact us should you require this service, and we will endeavour to arrange the most convenient delivery time to suit you.